Having a small bathroom may be such a pain, at least when it comes to maximizing the space. However, you can arrange the things in your tiny bathroom in a perfect way, if you are creative and willing to put in some effort. 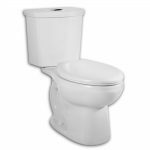 We wanted to make that process at least a bit easier for you, so we looked at best toilets for small spaces. And guess what? 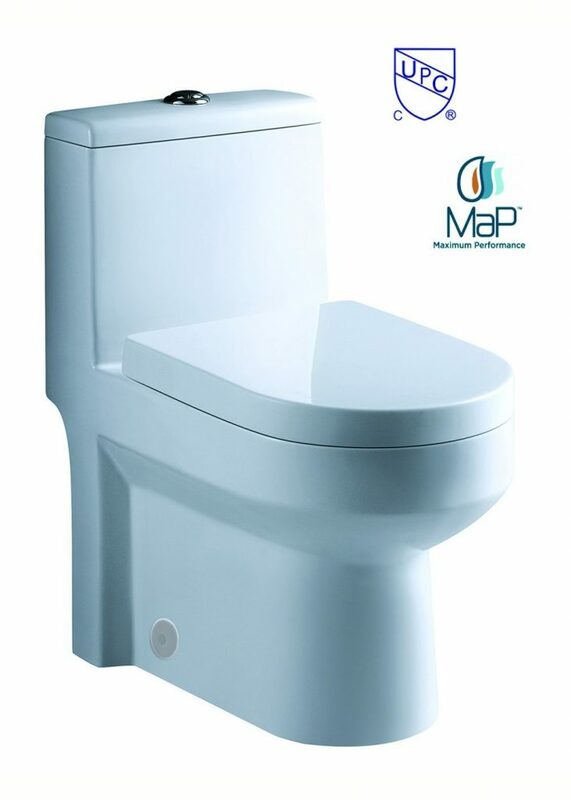 We have found just the thing you need – a good quality toilet coming from GALBA. In this article, we bring you a quick review, to steer you in the right direction. 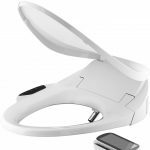 So, let’s see what this compact GALBA Toilet has to offer you. This toilet is one of the most compact toilets for small bathrooms. 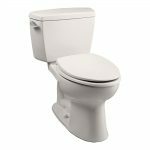 With 24.5 x 14 x 27 inches And 90 pounds, this toilet makes one of the shortest designed toilets for adults. So, it would not be a bad idea to take your height and weight into account when opting for this toilet. 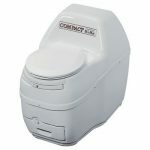 The compact one-piece design makes this toilet a breeze to install, even when the bathroom space is limited. 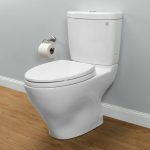 In case you aren’t skilled when it comes to the installation, you could call a professional, and he will make sure the toilet is perfectly installed. 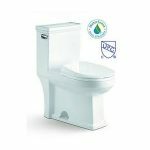 This toilet uses a dual flush mechanism, so it will not use too much water for cleaning the waste. However, the water level in a bowl is low, so you will have to clean the toilet much more often. Speaking of which, cleaning is simple and fast, due to the special design of this unit. When it comes to durability, no need to worry about that. Much like other models on the market, this one is also made from vitreous china and features plastic fittings. 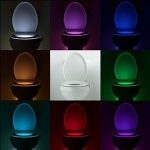 The toilet is well-built and will last you for a long time. What also contributes to durability is a Self-Cleaning glazed surface. Namely, it will not change color, rust or scratch. 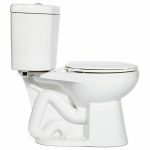 The glazed surface and white color give this toilet a contemporary look, so it will easily match your bathroom interior. When it comes to comfort, the seat is comfortable. However, it is not well-built so you might want to buy a new one. One more downside is the high price. Taking into account all this unit has to offer, it is a bit too pricey. 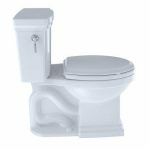 And there you have it – the most important things you need to know about one of the best toilets for small bathrooms - the GALBA Toilet. Not only this toilet is compact and efficient but it also looks great. 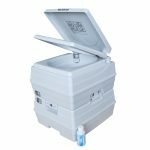 Add to that a self-cleaning surface and dual flush system, and this unit is hard to beat. Ready to Purchase the GALBA?